When Herbie Hancock was approached by the Los Angeles Olympic Organizing Committee to compose a piece of music for the Field Events at the 1984 Olympic Games, he says he knew right away what it should sound like. “I wanted something heroic, courageous, and challenging. Something that would illustrate the “Roots of Man,” and be very American at the same time. About the same time, my producer introduced me to Foday Musa Suso, who comes from West Africa and plays an instrument called the kora.” They formed an instant attachment; an artistic match that created the song “Junku”, included on Hancock’s recent Sound-System LP. In The Gambia, where Suso makes his home, the kora is the chief accompaniment for the griots, those keepers of tribal tradition who embody the living history of their people. Suso is a direct descendant of the first griot and had, by the age of eighteen, already mastered the incredible complexities of the giant, 21-stringed kora. All at once he plays rhythm, harmony and melody, much as an Indian sitarist does. The resulting album is at once majestic and meditative, unique and universal, a blending of musics as wide afield as Eastern, Indonesian and Greek. Cover-Art: “Village Life Under The Cocoa Trees’ by Prince Twin-Seven Seven. Design: Tony Lane/ Nancy Donald. Back Cover Photography: Geoffrey Thomas. Produced by Bill Laswell and Herbie Hancock. Recorded August 7-9, 1984 by Tomoo Suzuki and Dave Jerden at CBS/Sony Studios, Shinanomachi, Tokyo. Yamaha DX-1 Digital – This polyphonic digital synthesizer was the equivalent of two DX-7s put together and was the biggest and most expensive synthesizer in the DX line. 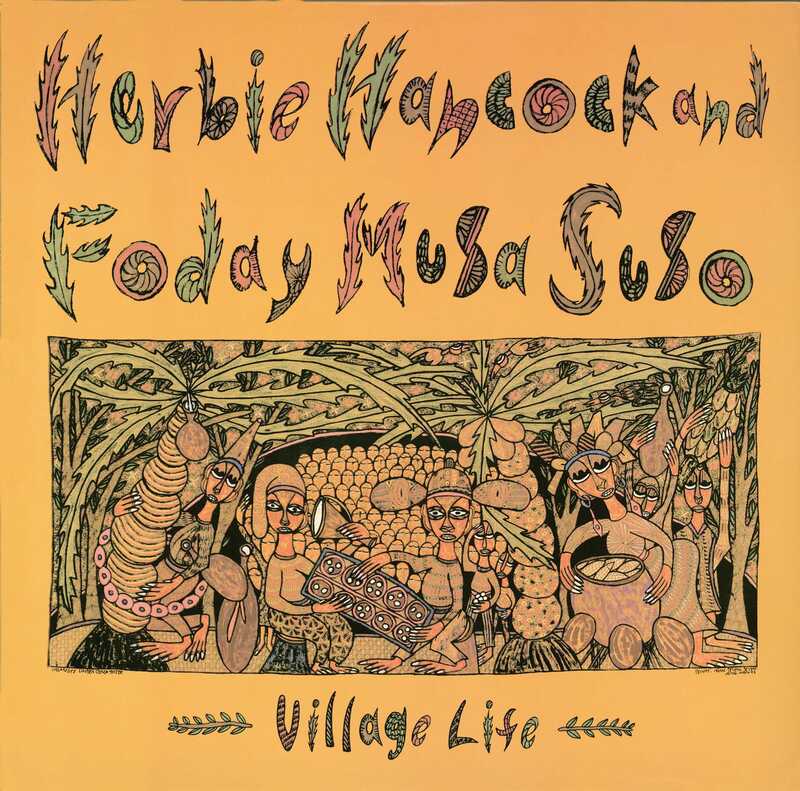 Herbie played this instrument on Foday Musa Suso: Village Life. Yamaha RX11 Digital Drum Machine – Released in the early 1980s, this programmable drum machine featured 29 real drum samples and 12 audio outputs. Herbie played this instrument on Village Life.